The Steve Jobs Theater Pavilion has received the SentryGlas Innovation Award for Engineering. The award was given as part of the 20th Anniversary of SentryGlas, to recognise projects that have utilised the interlayer in unique and creative ways. 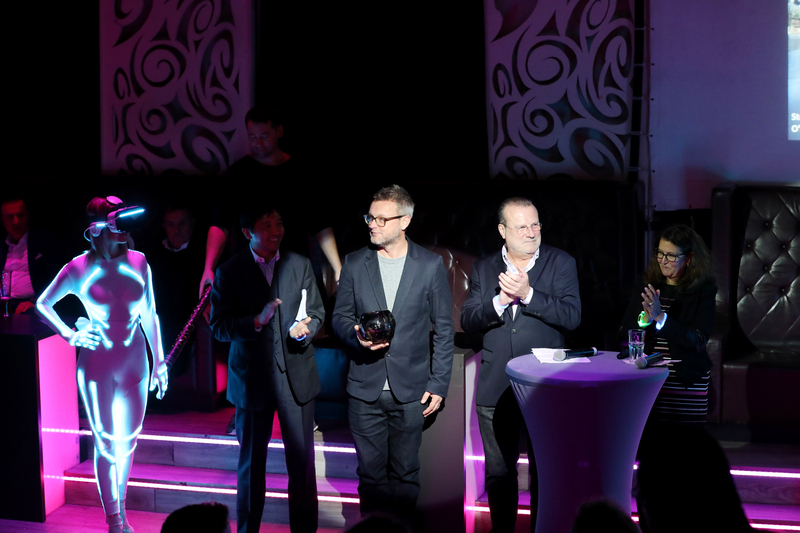 Winners were honoured at the Glasstec 2018 conference in Dusseldorf, Germany. The Steve Job’s Theater’s highly innovative pavilion structure features a carbon fibre roof 47 metres in diameter – the largest of its kind. Weighing 80 tonnes, this roof is supported by a seven-metre-high glass cylinder, making it the largest structure in the world solely supported by glass. As the Theater is located in a highly seismic zone, detailed analysis was required to ensure the integrity and robustness of the overall structure. Eckersley O'Callaghan Founding Director James O'Callaghan collected the award in Germany.